The history of sports includes lots of nutty ideas. 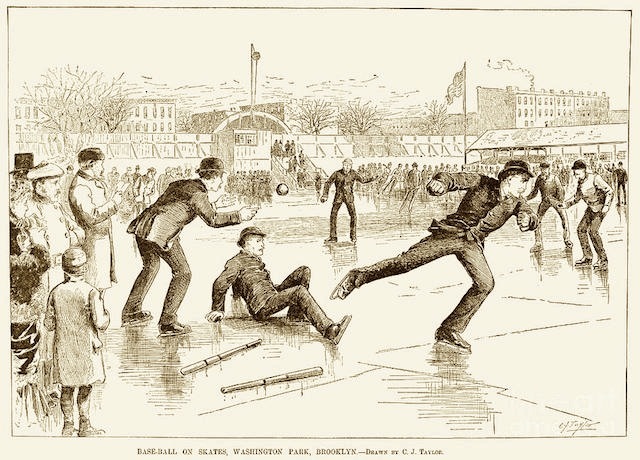 One of the strangest took off big in Brooklyn in the 1860s and 1870s: baseball on ice. The game was huge in Brooklyn in the decades after the Civil War. Ice skating was trendy too. Why not combine the two into the ultimate winter activity, right? Local papers covered the games enthusiastically. 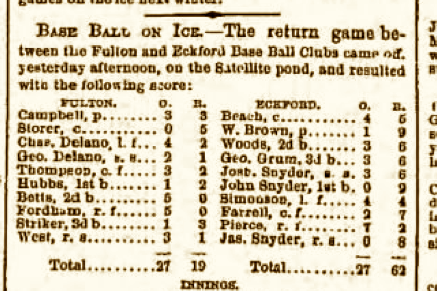 “Today a grand match at base-ball on ice will be played on the Capitoline Pond, Brooklyn, 2 pm., the contestants being the best players of the Mutual and Atlantic Clubs who are also good skaters,” wrote the New York Times in January 1871. Problems cropped up though. First, regular skaters complained that the ballplayers messed up the ice. Then there was the freezing cold. This entry was posted on December 28, 2015 at 10:24 am and is filed under Brooklyn, Sports. You can follow any responses to this entry through the RSS 2.0 feed. You can leave a response, or trackback from your own site. I haven’t been able to give my blog the proper attention, so I’m happy to share this fun winter post about Civil War Era Brooklyn. Baseball on Ice Skates. 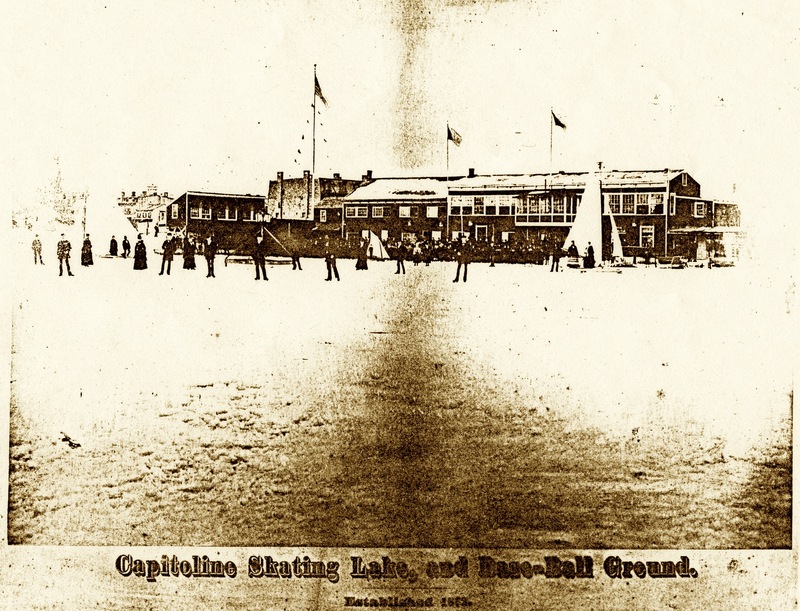 I always loved ice skating at the Prospect Park rink, I had no idea people were skating out there 150 years ago. The images look great. Don’t know why playing Baseball on Ice never occurred to me, but here you have it. Hockey was invented maybe 50 years earlier. I suppose Baseball fans were inspired. It actually seems like a lot of fun, but I can only imagine the bumps and bruises.